Abscissa is the value of the X-coordinate on a coordinate plane. 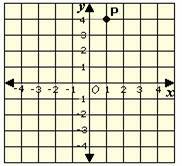 Abscissa is the value of the horizontal axis on a coordinate plane. Ques: Identify the abscissa of the point D.